Winnington-Ingram: The Biography of Arthur Foley Winnington-Ingram, Bishop of London, 1901-1939. London: Hodder and Stoughton, 1949. "The Ideal Worker:" Being Addresses Delivered at Keble College, Oxford, on July 21, 1893, to the Lay Readers Assembled for Their Annual Quiet Day. London: Society for Promoting Christian Knowledge; New York: E.& J.B. Young & Co., 1894. New Testament Difficulties: Historical and Scientific. London: Society for Promoting Christian Knowledge, 1894. Messengers, Watchmen, and Stewards: Being Three Addresses Delivered to Clergy at Loughton, in September, 1895. London: W. Gardner, Darton, 1896. Work in Great Cities: Six Lectures on Pastoral Theology Delivered in the Divinity School, Cambridge, Easter Term, 1895. London: W. Gardner, Darton, 1897. Banners of the Christian Faith. London: W. Gardner, Darton, 1899. London: Society for Promoting Christian Knowledge, 1900. The After-glow of a Great Reign. London: W. Gardner, Darton, 1901. "Launch out into the Deep:" A Sermon Preached in Marlborough College Chapel, on July 7th, 1901. Marlborough: Printed at the "Times" Office, 1901. The Touch of Faith: A Sermon Preached before Their Majesties the King and Queen, at Sandringham, on Sunday Morning, November 24th, 1901. Good Shepherds: Being Addresses Delivered to Those Preparing for Holy Orders at the Clergy School, Leeds, June, 1896. London: Wells Gardner, Darton and Co., 1902. Joy after Heaviness: A Sermon Preached in St. Paul's Cathedral, London, on the Eleventh Sunday after Trinity, 1902, Being the Day after the Coronation of King Edward VII and Queen Alexandra. London: W. Gardner, Darton, 1902. The Faith of Church and Nation. London: W. Gardner, Darton, 1904. The Bishop of London's Lenten Mission: A Series of Addresses Delivered in Various London Churches during Lent, 1905, together with Addresses on the Seven Last Words. The Blessing in the Cluster: Anniversary Sermon. London: Skeffington and Son, 1905. 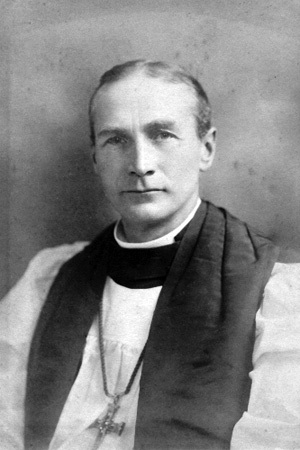 A Charge Delivered to the Clergy and Churchwardens of London in St. Paul's Cathedral, October 19, 1905 at His Primary Visitation of the Diocese of London. London: Wells Gardner, Darton and Co., 1905. The Men Who Crucify Christ. London: Wells Gardner, Darton, 1905. Proportion in Life: An Address Delivered at the Weymouth Church Congress, October 2nd, 1905. A Mission of the Spirit. London: Wells Gardner, Darton, 1906. London: Society for Promoting Christian Knowledge, 1906. Addresses Given in St. Paul’s Cathedral during holy Week, 1902. London: Society for Promoting Christian Knowledge, 1907. The Call of the Father. London: Wells Gardner, Darton, 1907. The Sermon at the Opening Service of the General Convention October 2, 1907 in the Church of the Holy Trinity, Richmond, Virginia. No place: no publisher, 1907. The Early English Colonies: Delivered at the Richmond Auditorium, Virginia October 4, 1907. What Young Men Could Be and Do in London : An Address Delivered to Old Public School and University Men at London House. London: Wells Gardner, Darton, 1908. The Love of the Trinity. London: Wells Gardner, Darton, 1909. London: Wells Gardner, Darton, 1910. Christ’s Sympathy for Young Men. London: Wells Gardner, Darton, 1911. Death in the Light of the Epiphany: A Sermon Preached before Their Majesties the King and Queen, in the Private Chapel of Windsor, on Sunday Morning, January 29th, 1911. The Gospel of the Miraculous. Milwaukee: The Young Churchman, 1913. A Call to Arms Addressed on August 31st from a Waggon to 5000 Territorials at Bulswater Camp. London: Wells Gardner, Darton, 1914. A Day of God: Being Addresses on the Subject of the Present War. Drinking the Cup: A Sermon Preached in St. Paul's Cathedral on August 9, 1914 after the Outbreak of War. Kaiser or Christ? The War and Its Issues. The Bishop of London’s Visit to the Front. London: Wells Gardner, Darton, 1915. Life for Ever and Ever: Preached at the Canadian Memorial Service, St. Paul's cathedral, May 10, 1915. Cleansing London: Addresses Delivered in Connections with the National Mission of Repentance and Hope, September, 1916. London: C. Arthur Pearson Ltd., 1916. Our Place in Christendom: Lectures Delivered at St. Martin-in-the-Fields, in the Autumn of 1915. London and New York: Longmans, Green, and Co., 1916. Milwaukee: The Young Churchman, 1917. Milwaukee: The Young Churchman, 1918. London: Wells Gardner, Darton, 1918. The Necessity and Hope for Christian Union. London: Wells Gardner, Darton, 1919. Milwaukee: The Young Churchman, 1919. Milwaukee: The Young Churchman, 1921. London: Wells Gardner, Darton, 1922. Milwaukee: The Young Churchman, 1926. The New Prayer Book: An Address. London and New York: Longmans, Green, and Co., 1927. Holiday Recollections of a World Tour. London and New York: Longmans, Green, and Co., 1930. Has the Kingdom of God Arrived? What the Cross Means to Me. London: Hodder and Stoughton, 1936. London and New York: Longmans, Green, and Co., 1937. What a Layman Should Believe: An Appreciation and Criticism of the Recent Report on Doctrine in the Church of England. London and New York: Longmans, Green, and Co., 1938. London and New York: Longmans, Green, and Co., 1939. Fifty Years’ Work in London. London and New York: Longmans, Green, and Co., 1940. A Second Day of God. London and New York: Longmans, Green, and Co., 1941.